Firstly, we should be singing our successes in government at every opportunity. Secondly, we should be quite ruthless in exposing the smears and lies of our opponent. Finally, it is high time that we realised that the basic arguments have to be repeated – for three basic reasons. 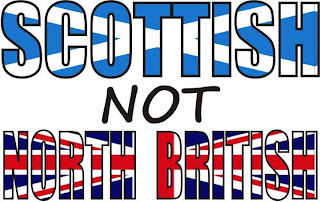 1 Every year a new generation of Scots comes of age, and has never heard the arguments for independence. But all too often they have been subjected to arguments against independence from our hipless press. 2 Unless they are constantly reminded, people forget. 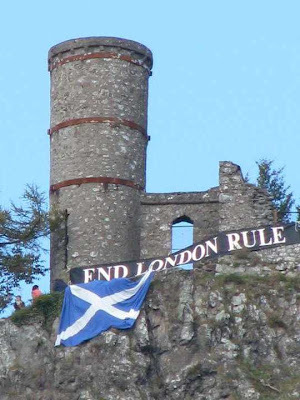 3 There is a constant stream of anti-independence propaganda from the British media. This must be countered. 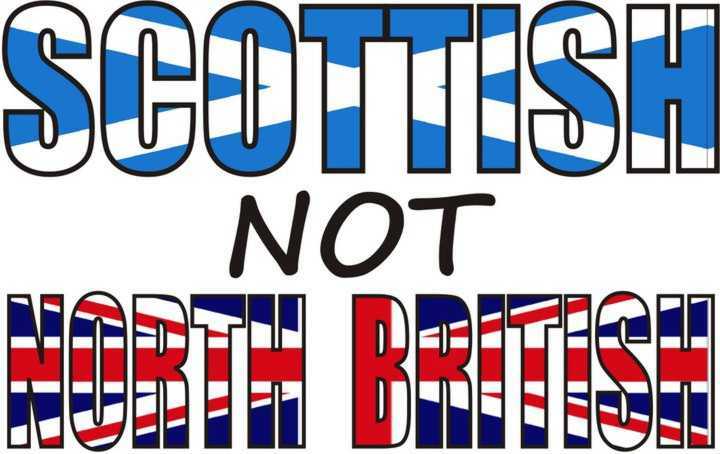 SUCCESSES, RUTHLESS, SMEARS AND LIES, INDEPENDENCE, BRITISH CONTROLLED MEDIA. Was it not curious how much the media bowed to the recent British Labour Party leadership election? Talk about saturation coverage. Even Elmar Fudd got in on the act with his “Miliband gets Scotland” rhetoric. Dear oh dear Gray what next. “I am intrigued as to how both Jim Murphy and Iain Gray can claim they are enthusiastic about Ed Miliband as party leader. According to the Labour Party’s website, Mr Murphy only voted for David Miliband. Why didn’t he use any of his other preferences for Ed Miliband if he now believes he has the qualities to be leader? John Roy commenced his military career by serving in the Scots Greys as lieutenant and quartermaster on being refused a commission in the Black Watch he resigned. He was then employed as a Jacobite agent. In 1736 he was arrested as a Jacobite spy and thrown into Inverness gaol. With the connivance of Lord Lovat his friend then Sheriff of Inverness he managed to escape. Robert Chevis of Muirtown was to give evidence at the later trial of Lord Lovat and claimed that on escaping John Roy Stewart stayed with Lord Lovat at his Castle Downie for 6 weeks. During that stay John Roy Stewart and Lord Lovat “diverted themselves composing burlesque verse (in Gaelic) that when young Charles comes over there will be blood and blows” Pity none of this verse survives to this day. According to this witness Stewart left Lovat with a message from the James VIII assuring him of his loyalty and asking him to speed up his appointment as Lieutenant General of the Highlands and the Dukedom for which Lovat received in 1740. For the next 8 years John Roy Stewart appears to have been abroad not being heard of until the Battle of Fontenoy 30th of April 1745 where he fought on the French side. By the end of May he was in Scotland and he joined the Prince at Blair Atholl on the 31st of August. He played an important part in all the counsels and in the conduct of the campaign. He was made commander of the Edinburgh regiment which took part in the skirmish at Clifton and the siege of Stirling. He fought in the front line at Culloden and appears to have commanded the second line. Before the battle of Culloden began he offered to lead a detachment round by the water of Nairn to attack the enemy in the rear but his plan was not accepted. After the battle in which John Roy Stewart acquitted himself with the greatest bravery, he retired with the part of the army which retreated to Ruthven. On the day after the battle Lord George Murray resigned his commission and on the next day 18th of April John Roy Stewart disbanded the Jacobite army with the orders being received from the Prince being either not received or incomprehensible. 10 days later he was at Gortleg a residence of Lord Lovat. On the 8th of May at Muirlaggan on Loch Arkaig he took part in a meeting of the chieftains which attempted without success to organize another rising. For the next four months John Roy Stewart was a hunted fugitive and in two of his poems “Urnuigh Iain Ruaidh” John Roys Prayer and in John Roys Psalm composed in english he described the dangerous actions as he kept one step ahead of his pursuers and having the misfortune of spraining an ankle during an escape. On the 13th of September he rejoined the Prince at Uiskchilra and on the 20th sailed for France from Loch nan Uamh with the Prince, Locheil and most of the Jacobite leaders. He died in France, 1752 with his place of burial unknown. We can take inspiration from John Roy Stewart, a hero of the Gael and like so many to sacrifice a life for a cause with honour and dignity. A cause much deeper than the winning of a British throne or a high seat in London. A cause that became the last throw of a Nation and Culture consumed by Anglicisation. An Anglicisation started by the offspring of Canmore and ended on Drumossie Moor by its Royal descendant…..